You should only enter the file name of your assembly file when adding a reference, not the full file path. You must copy the assembly file to the agent's Assemblies folder or to the shared Assemblies folder. 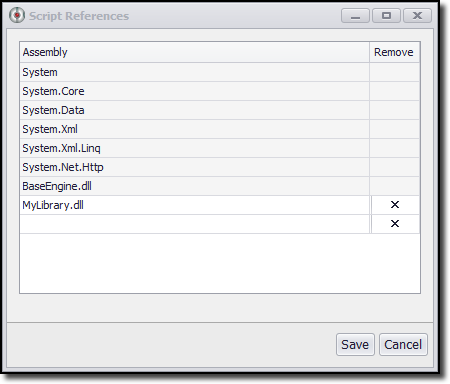 Content Grabber will look for unresolved assemblies in those two folder. The shared Assemblies folder is located in Content Grabber\Assemblies and assemblies in this folder are shared by all agents in Content Grabber\Agents. The Content Grabber folder can be located anywhere, but by default it's located in My Documents\Content Grabber.